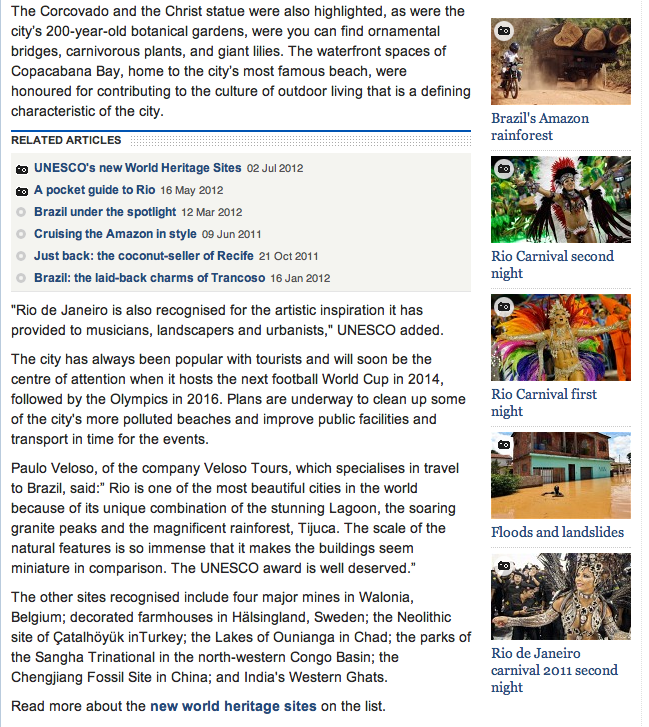 The city of Rio de Janeriro was elected by UNESCO on 1 July 2012 to be a World Heritage Centre. 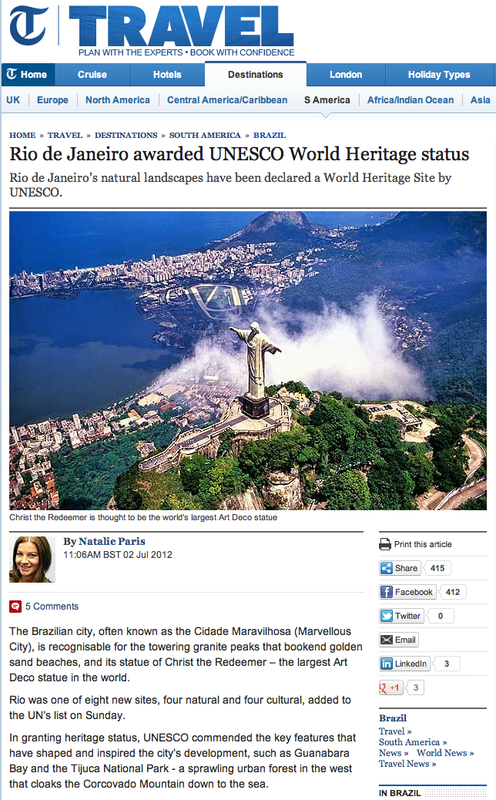 The reason given by UNESCO was for Rio’s iconic landscape and setting. Rio is the 19th Brazilian World Heritage Centre. This entry was posted in Brazil, Rio de Janeiro and tagged Brazil, Rio, Rio de Janeiro, UNESCO, World Heritage Centre by Critical Divide. Bookmark the permalink.